The state of Uttar Pradesh lives under a radical Hindu priest as its Chief Minister, appointed by the Hindu ruling government. Christ followers in this state have experienced more persecution in the last year than any other state in India. Uttar Pradesh has one of the largest concentrations of unreached people groups in the region. 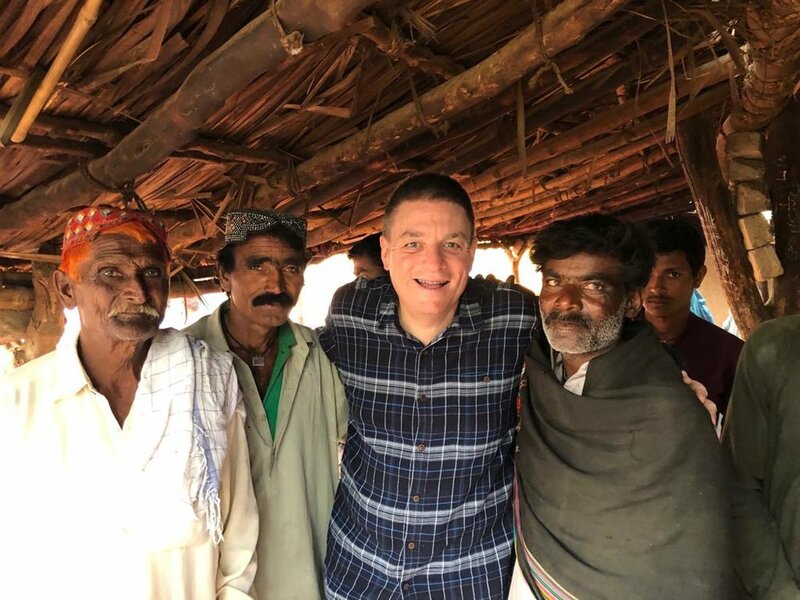 For this reason, Global Advance International Coordinators have been strategically training native leaders for tribal, rural, and urban church planting. Loni, a primitive town with nearly 50 villages and a population of over fifty thousand people, is just a two hour drive from New Delhi, the capital city. 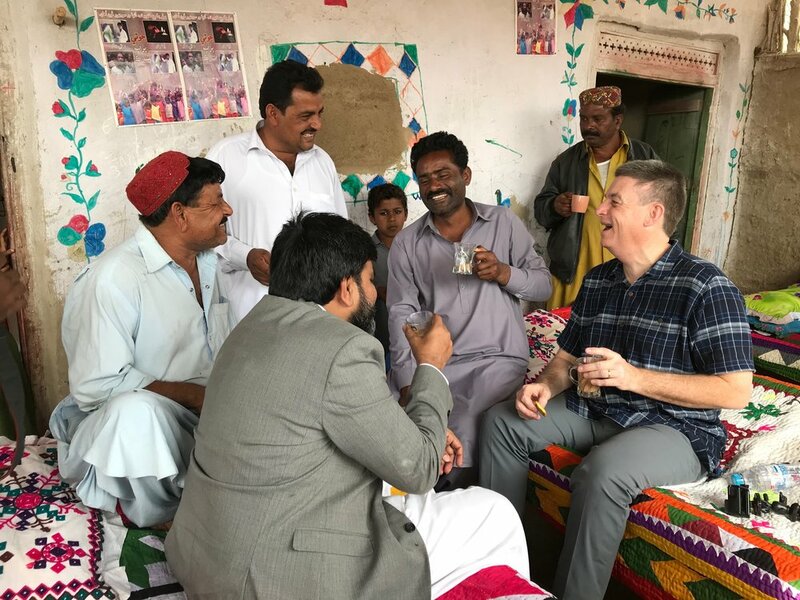 One of our International Coordinators has been engaged in evangelism and community transformation initiatives for over two decades in this little town amidst great opposition and challenges. Christian missionaries have been under great threat for their very lives. In spite of various attacks, our leaders faithfully continue the work. As a result, earlier this month, Global Advance hosted the first ever Frontline Pastors Conference in Loni with 125 pastors and their wives. The atmosphere during the entire conference was one of great joy and celebration. Joyful, not only for the opportunity to receive high quality training and resources, but also for the opportunity to come together under one roof for the first time as leaders of the churches in Loni. Celebratory, to know that the church in Loni is growing and to know they are part of a wider and bigger community of believers. Our conference has provided a platform for unity and support for these leaders as they return to their villages and serve under great persecution and trials. 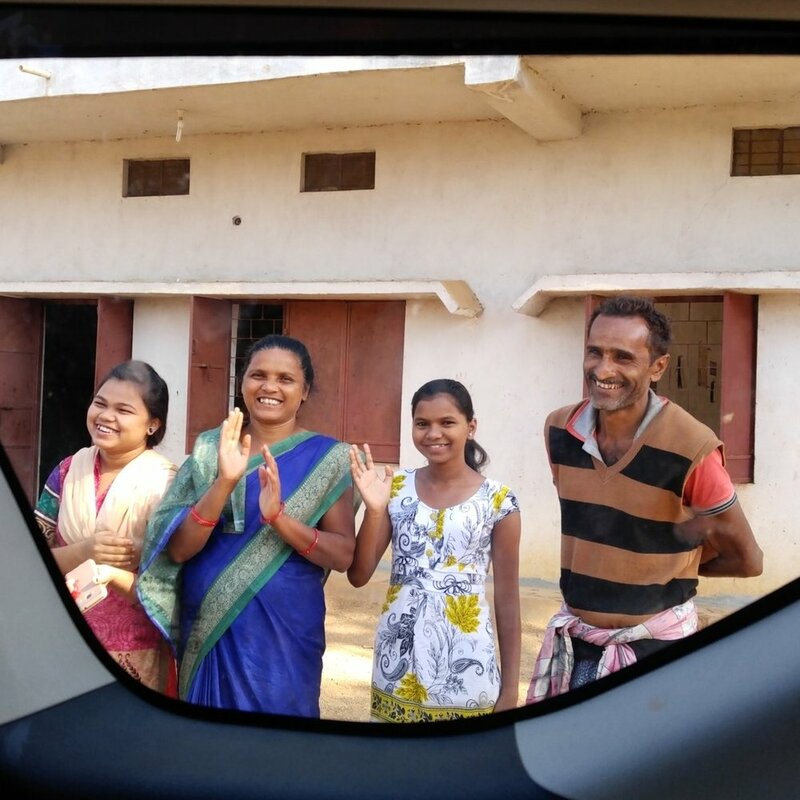 114 leaders have committed to daily personal time with God in prayer and study of the Word; 64 leaders have committed to plant at least one new church among unreached people groups of Uttar Pradesh; 10 leaders have responded to the call for cross cultural mission work. This commissioning was a solemn and reverential time before God and the witness of His people. God is breaking through barriers in Loni, Uttar Pradesh. While encouraging and equipping are major focuses of our trainings, the distinct outcome is always the exponential church planting movements birthed as a result. The uniqueness of these new church plants as a result of our training is that they are evangelistic in nature. A tragedy of today’s missions’ paradigms is the focus on church planting and acts of service with a neglect of verbal witness of the good news of Jesus Christ. We praise God for the vision of Global Advance to bring a passion for evangelism that would result in the planting of new churches. From its inception, Global Advance has invested heavily in equipping, training, and resourcing frontline leaders to reach unreached people groups and to plant new churches in Asia. I am thrilled to see a kingdom coalition consisting of high capacity leaders from across seven South Asian nations: Afghanistan, Pakistan, Nepal, India, Bhutan, Bangladesh and Sri Lanka. Together, we are working in the unity of the body of Christ to see 15,000 new churches planted among unreached communities. Join the Global Advance force in Asia and become part of making history as we work to fulfill the Great Commission. Before we could expand Global Advance initiatives to train pastoral leaders in this region, it was crucial to pierce the darkness by mobilizing massive prayer walks and prayer movements. From 2001 - 2005, we were intentional in organizing prayer walks that covered thousands of miles in North India, as well as twice through the entire nation of Nepal. Easter week of 2003 found our team conducting prayer walks in the Himalayan Mountains over an eight day period. Our team felt that we should make it to a church on Easter Day to worship, but our local guide informed us that the closest church was another four days’ travel away. To our disappointment, we wouldn’t make it by Easter Day. But today, thanks to years of prayer and Global Advance training initiatives, we now have a church in every district of these regions that were once absolutely closed to the gospel! We are grateful to the Lord for the many Global Advance prayer partners who are covering us in prayer as we continue to pierce the darkness. Today, through the Global Advance South Asia Coalition, we have a prayer network that covers eight nations through intentional, ongoing prayer initiatives. We who are on the front lines can feel the power of God at work as Global Advance prayer partners join forces to pray with our prayer coordinators in South Asia. We are seeing breakthroughs, open doors, and miracles as a result of prayer. The success and the progress we are making through the Global Advance South Asia Coalition is the result of much prayer. Prayer alone gives power and wings to the gospel. What Does it Take to Transform a Nation? In the commissioning of his followers, Jesus made it clear: we are to be nation-disciplers. What an immense privilege – and responsibility – to partner with the Holy Spirit to propel the transforming message of the gospel throughout entire nations and regions! But what does it really take? This month, nestled in the highlands of the Himalayas in far Northwest India, Global Advance is training frontline leaders with one passion, one vision, and one cause – to advance the Gospel and expand the Kingdom. Sadly, the day before this training we were informed that a Bharat Bandh - a nationwide shutdown - was implemented in this region. During the previous nation-wide strike, protests across the country had turned violent after agitators resorted to stone pelting, damaging public properties, and blocking rail and road traffic movements. Some pastors traveling to the training were stranded on the roads for hours. Once the delegates arrived at the Frontline Pastors Conference, they went through four security checks to enter the church area, all as a precaution to protect them from violent protesting. Through all of this, they made their way to be encouraged and to receive the much needed training for their work. The front line of the Gospel’s advance is littered with painful and difficult opposition to God’s purpose. Hate does not surrender easily to love. Evil does not submit quietly to good. When pastors and leaders gather to be trained, often they are overwhelmed by the struggle to push forward as they bear the burden and overcome the daily fear of spiritual collisions. These training events lift these hidden heroes as they respond to the Great Commission. Regardless of security obstacles and impending persecution, these pastors are seeking a sovereign move of God in their region. Please pray for these leaders, and consider giving to Global Advance to help bring more training to the frontline leaders of the Gospel’s advance. They need our help more than ever. “I remember hearing Dr. David Shibley speak when I was a young man! Twenty years ago he came to Africa and I still remember how encouraging he was. As the wheels of our plane hit the tarmac, my arm flew up in a fist pump to signal that we made it. I had been on a two year pursuit to reach into the nation of Bangladesh. MERRY CHRISTMAS FROM GLOBAL ADVANCE! Together, with your support, and the guidance of our Lord, we were able to share the light of the gospel and the hope of the world in 40 nations this year.